Jack Daniels Honey is generally marketed towards a younger and more female-skewed audience than its traditional product. 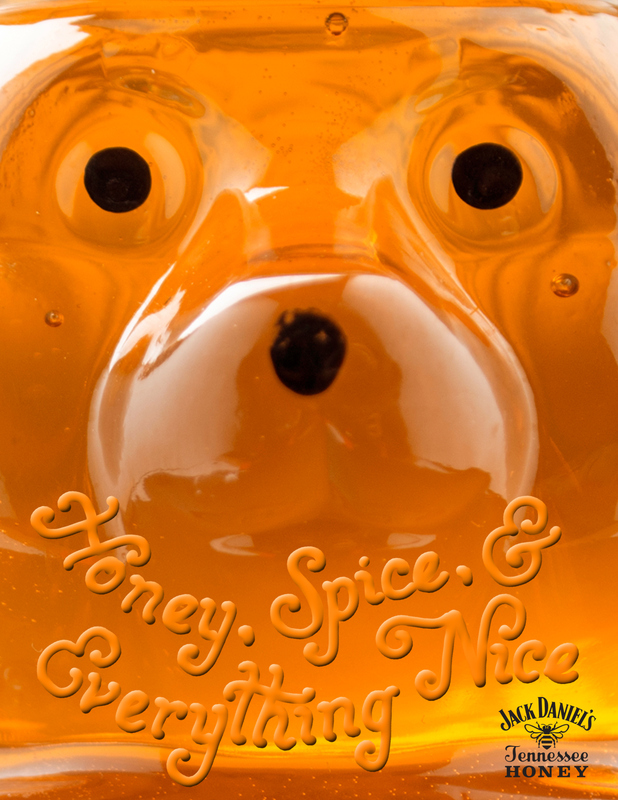 In my print ad I tried to display a reference to a cuddly "honey bear" that looks some what friendly with copy that reads "Honey, spice, & everything nice." making a reference to the flavor of Jack Daniels Honey.